Borussia Dortmund are having a tough time this season. Prior to their win against Mainz this midweek, the Black and Yellows were without a league win since September, which led to the sacking of former head coach Peter Bosz. 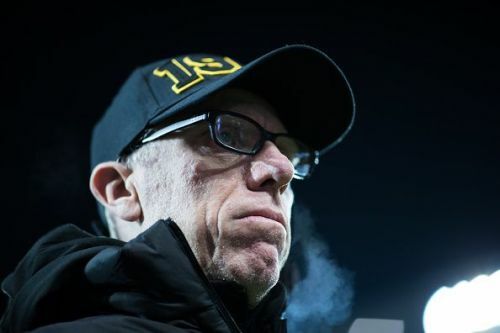 However, with the new and far more experienced boss at the helm, in shape of Peter Stoger, there are a lot of things BVB can do right in order to recover from their messy campaign so far this season. Here are five reasons why Borussia Dortmund have every chance of bouncing back by the end of this season. It's often a pattern that when a new coach arrives at the helm, the team morale significantly increases, even at the worst of times. Borussia Dortmund were without a win since September before Stoger took the reigns from Bosz last week. Few training sessions, a couple of motivating pep-talks and an impressive performance against Mainz was all it took for the former Koln boss to get the side back on track. The former Austria Wien manager is known for his ability to garner stability. He found resounding success during his time at Cologne, where he transformed the Billygoats into a Europa League team just a few years after helping them win promotion into the German top flight. The Bundesliga just can't part ways with the Austria mastermind it seems. Having vast experience in the German top flight and a penchant for discipline, Stoger's influence will help BVB gain confidence for the second half of the season. Stoger's not alone in his job of getting BVB back on track. Former Champions League winner with BVB, Jorg Heinrich, has joined the Austrian, as an assistant coach of Borussia Dortmund. The 48-year-old has played for the club for almost five years, during which he managed to gain get the adulation the fans. He is a loved figure at Dortmund and his presence on the touchline along with club legend Michael Zorc will be equally vital for the team. There have also been some whispers of Sebastian Kehl, another club legend, potentially joining the BVB camp in near future, which could be a dream come true for those passionate BVB supporters.